As computer labs go, our Kodak labs are about the busiest place for digital work. On the fourth floor you will find two computer labs, that we call Kodak labs 1 & 2. Kodak generously donated funds to provide us the ability to create two new labs within our facilities. These two labs mirror each other and are considered our main teaching labs. 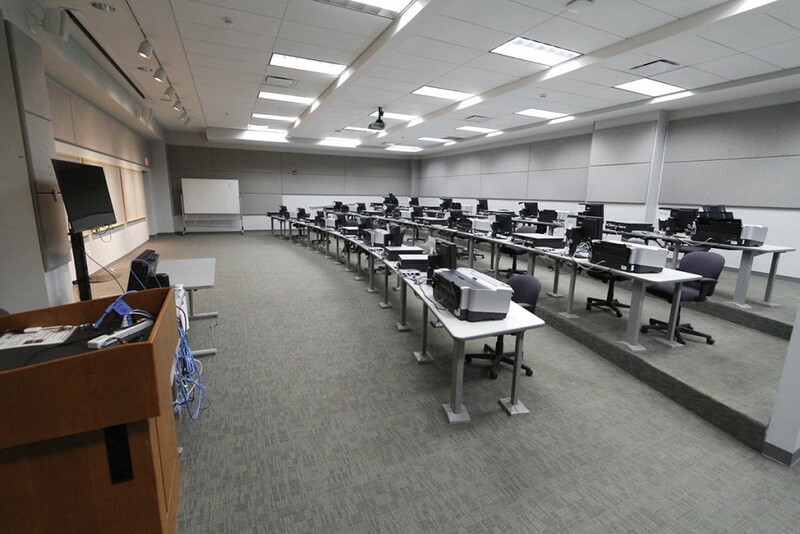 They are each equipped with 21 work stations, with Mac minis, NEC monitors, Epson flatbed scanners, and printers. Our teachers station is set up with our projector system making display of software something every student can view as the instructor demonstrates its workflow.